Intramural Basketball Program - Website of bbgcbasketball! Our INTRAMURAL program is designed to introduce players to the game of basketball and teach the basic fundamentals while participating in organized play. 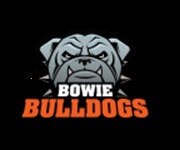 Our Intramural league places all registered players onto teams which will play against each other on courts in the City of Bowie. The season begins January 5 - March 10. Your child must turn 5 by by the start of the season to play BBGC Intramurals. Our intramural program is a weekend only program. Teams will practice on Saturdays and play games on Sundays. Your team’s practice schedule will be determined by your assigned coach. There will be several open gym sessions held between November and January in order for the coaches to pick and assign players to teams. The goal is to construct teams that are as evenly matched as possible so that players on all teams are having fun. Age group determination is based on the year in which your child was born. Some age groups may be combined if necessary to form enough teams for a season of play. Our 5/6 year old program is commonly referred to as our "Littles" program and the teams are coed. Players that have made a County Team will not be allowed to play in our intramural program. The game jersey will be the orange and black reversible.